Phoenix, a village in the Snow Belt in Oswego County, has snowfalls above 200 inches in most years. Sometimes that makes Phoenix tough to get to. Michaels & Smolak has represented many residents in Phoenix and the Oswego County area, including a client who sustained cervical fractures from a rear-end collision. Michaels & Smolak also currently represents 9 victims of a Phoenix home propane explosion whose injuries include paralysis, burn injuries, severe fractures and organ damage. The law firm of Michaels & Smolak does not handle “frivolous” cases. It handles only legitimate claims brought by those injured through others’ negligence, including medical negligence, which is also called “medical malpractice.” The firm does not limit its practice to representing only “catastrophic” injury victims, but does require that the injury be significant. 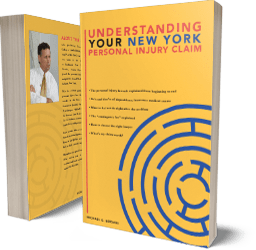 Michaels & Smolak is happy to review all injury claims from Phoenix and Oswego County residents. An initial telephone conference is the first step, which is then usually followed up by a house (or hospital) visit by one of the firm’s lawyers.